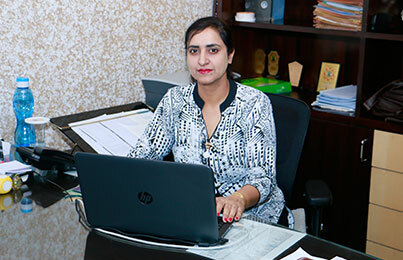 The Faculty of Management (FoM) at CGC Jhanjeri, Mohali was established with a vision of shaping our young leaders to meet the qualitative requirements and needs of corporate and industrial houses all over the world with a very clear perspective of becoming an academic institution that is responsive to the requirements of the new age corporate world. Our institution sets a benchmark to help shape up young students into professionals for touching the highest zeniths in their professional growth. The institution has well equipped computer & language laboratories, a well stocked Library with all modern facilities including E-Library, Entrepreneurship Development Cell, E-governance cell, etc. We have set for ourselves the goals of a consistent flair for innovation & the ever increasing capacity for adapting to changes in the business scenario. The Institute is proud of its highly competent, motivated, committed, and well-experienced faculty. To meet and compete with the challenges posed by the accelerating growth and globalization, our country needs a workforce of young and extremely efficient managers. The need of the hour for every Business School is to create and polish a new cadre of management professionals who are capable of understanding the ever changing global business environment. The vision of Faculty of Management is that dynamism and change hold the key to a more prosperous future. Faculty of Management has been established with a strict focus on the holistic development of students. We earnestly work to uncover, hone and polish the finest qualities of each of our student and reinforce them with the values of honesty, hardwork and social justice. The infrastructure, the passionate and experienced faculty and the pleasant environment make education with us a valuable and enriching experience. Research & development activities are one of the most vital dimensions of our Institute. It is our incessant endeavor to foster the values of team work and integrity amongst the students. Life here is characterized by a package of 3Es – Education, Entertainment & Employment.